In business, good recordkeeping is essential not only for tax reporting purposes but also for the success of the company. The guidelines below give retention periods for the most common, business records. Call us if you�d like more information or assistance with your record retention program. 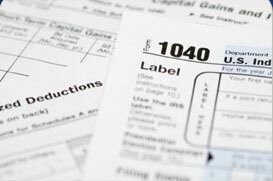 Good recordkeeping can cut your taxes and make your financial life easier. How long to keep records is a combination of judgment and state and federal statutes of limitations. Since federal tax returns can generally be audited for up to three years after filing and up to six years if the IRS suspects underreported income, it�s wise to keep tax records at least seven years after a return is filed. Requirements for records kept electronically are the same as for paper records.